Stews — especially when cooked in the Instant Pot — are a great solution for meals that fit into your busy life. They’re easy to make and use accessible ingredients, many of which are pantry staples. Cooking them in the Instant Pot makes them decidedly quick as well. 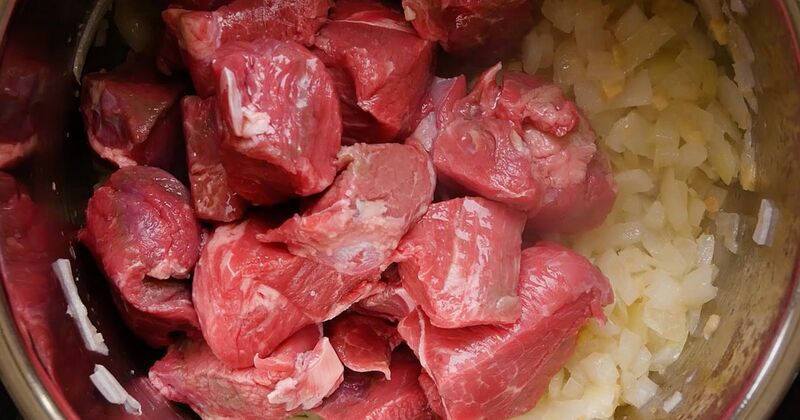 This hearty beef stew is simmered with fresh garlic and ginger, and seasoned with soy sauce, brown sugar, oyster sauce, and Shaoxing wine, giving it a uniquely Chinese flavor. If you have access to Asian produce, you could substitute daikon radish for some or all of the carrots. This Asian root vegetable is loaded with nutrients and becomes juicy and tender when braised in broth along with meat and other vegetables. 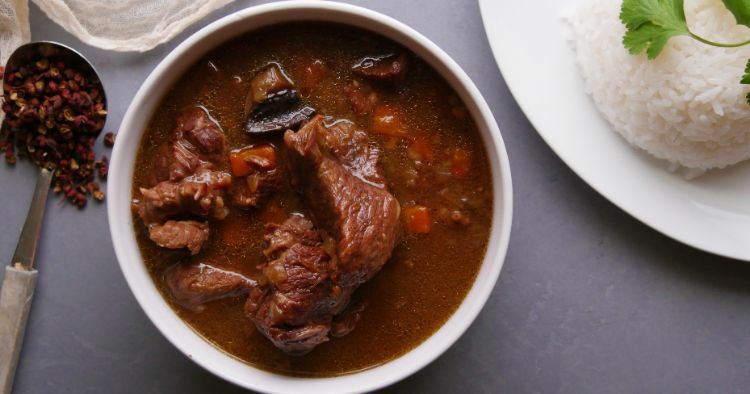 With its mild flavor, it soaks up the flavors of the meat and seasonings it is cooked with, making it a particularly great addition to a flavorful beef stew. Add the onion to the pot and cook, stirring occasionally, until softened, about five minutes. Add the garlic and ginger and cook, stirring, one minute more. Season the meat with salt and pepper, and then add it to the pot. Cook, stirring occasionally, until the meat is browned on all sides, about five minutes. Add the carrots, mushrooms, broth, soy sauce, brown sugar, oyster sauce, and wine. Stir to mix. Close the lid of the pot, and turn the valve to the sealing position. Choose high pressure, and set the timer for 35 minutes. When the cooking time is up, let the pressure release naturally for 10 minutes, and then quick release any remaining pressure. Remove the lid, and turn the pot off by pressing the cancel/keep warm button, then press the sauté button. When begins to bubble, add the cornstarch-and-water mixture and cook, stirring, until the sauce thickens, about two minutes.